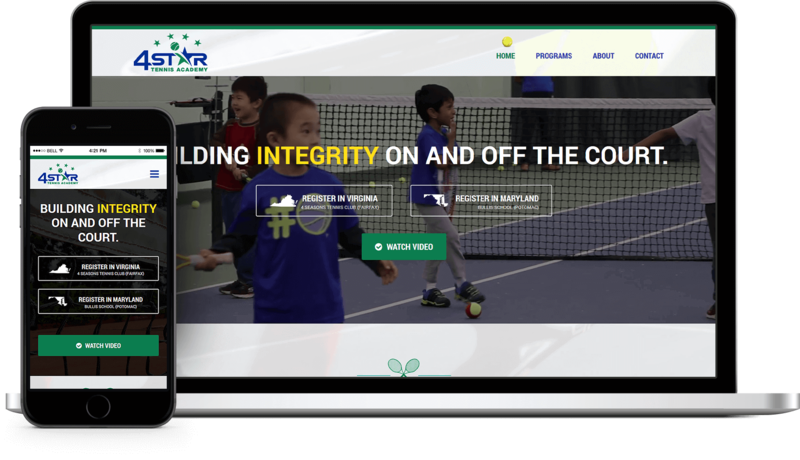 4 Star Tennis Academy needed an upgrade to their website to improve their registration process and reflect their new brand. 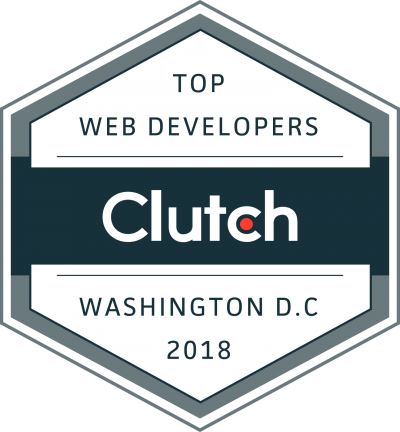 In addition, they aimed to merge two existing websites for their locations in Virginia and Maryland. Creative2 worked with MtoM Consulting to design and develop the new site. Site encourages target audience, children and parents to convert with calls to action and visual cues. 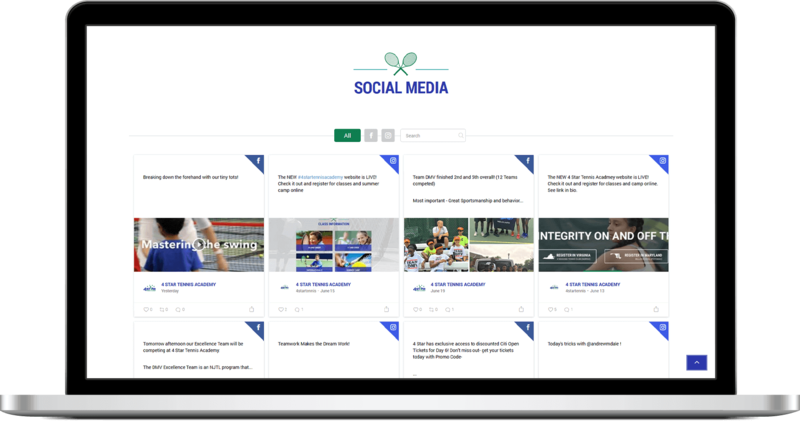 Social media board added to homepage allowing visitors to view Facebook and Instagram feeds, providing social proof for users who are being introduced to 4 Star for the first time. Streamlined class registration system and administrative backend implemented using WordPress. Multiple payment gateways (one for each physical location) were integrated with the e-commerce system via Authorize.Net and then synced to QuickBooks. Two websites for two physical locations merged into one, with ability to browse the site within the location of choice. Additional locations can now also be easily integrated into the site. 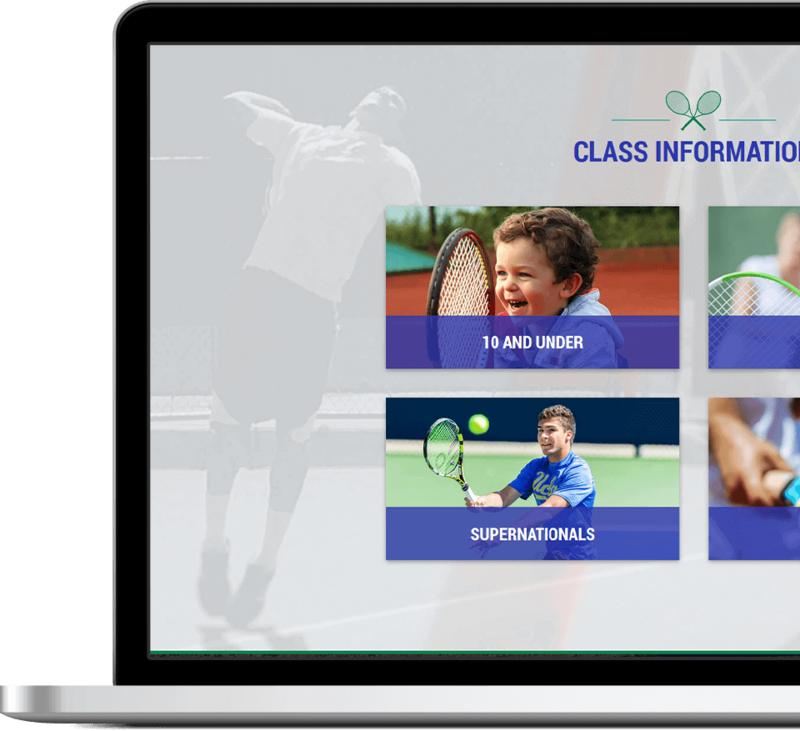 Available classes from two locations are arranged into an easy-to-use grid with buttons indicating in which state classes are located. Built fully responsive to mobile, tablet, HD and desktop devices - with mobile experience prioritized, allowing customers to purchase tickets on their phones. Subtle motion and transitions were used throughout the site for enhanced visual interest.